Luckily, advances in solar technology have made it possible for everyone to at least have a small emergency solar backup, even if it’s just something that can keep your small electronic devices up and running. 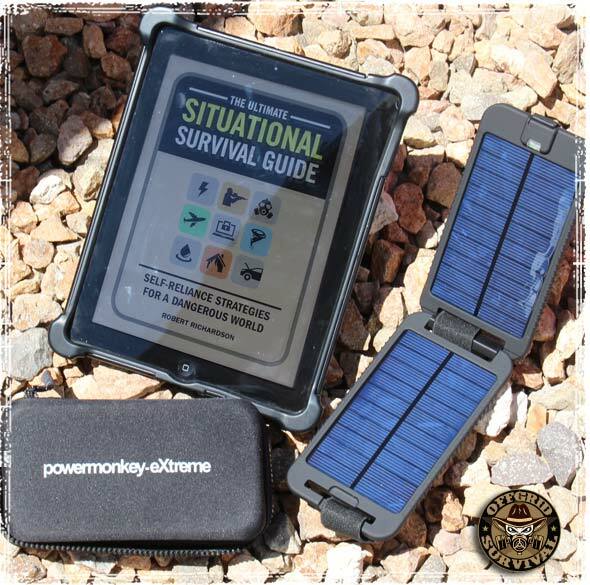 These small portable devices are not only great for camping and hiking adventures, but when disaster strikes they can help keep devices like cell phones, small tablets, flashlights, emergency radios, ham radios, and GPS devices up and running. 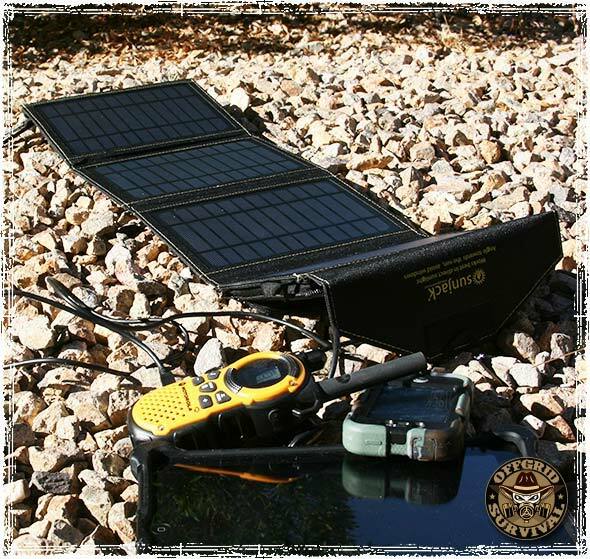 The SunJack 14W Solar Charger Panel can be picked up for about $80. Sunjack’s battery backup devices can be found for $40 . Each battery backup takes about 5 hours to fully charge and holds enough power to charge an iPhone about 4 times. Goal Zero is known for making high-quality solar chargers. 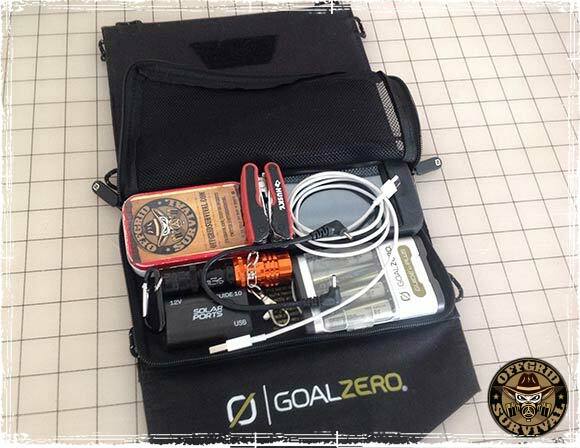 For the last couple of years, I’ve been using the Goal Zero Guide 10 Adventure Kit as an emergency EDC. 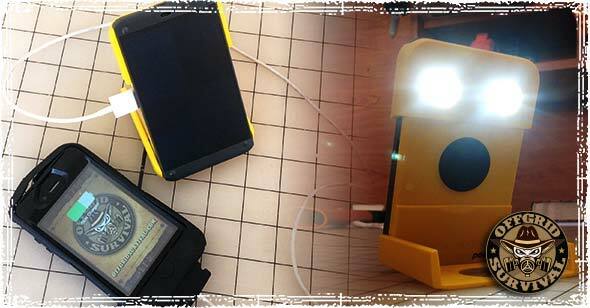 The kit includes a Nomad 7 Solar Panel and a Guide 10 Power Pack that can charge AA and AAA batteries. It’s small enough to slip into your vehicle’s glove box and has an added pocket that allows you to pack it full of extra Every Day Carry (EDC) gear. The unit retails for around $130 . If you’re looking for something that you can literally slip in your pocket, then you need to check out the Solio Bolt or the Solio Classic2 Solar Charger. Both of these chargers are small, can hold their charge for up to a year, and their battery packs can hold enough juice to power the average smartphone about 4 times. The Solio Bolt sells for $70 and the Classic2, which has an extra panel, sells for $100 . The WakaWaka Power+ is another small, easy-to-carry solar kit that can slip inside just about any bug out bag or EDC kit. It does take a bit longer to charge, which is to be expected with these smaller panel units, but once fully charged it holds enough power to charge a smartphone in about 2 hours. It also comes with built-in LED lights (5 to 75 lumens) that provide up to 150 hours of emergency lighting on a single charge. It retails for a little over $100 . 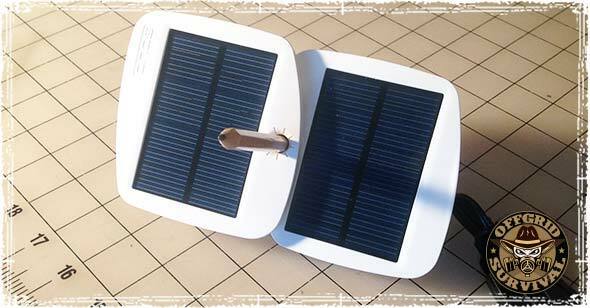 Another portable solar charging option you should mention are Brunton’s solar charging products. The SolarRoll, which I own, comes in 4.5, 7, 9, 14, and 27 watt flavors. Brunton also makes a variety of flat panel solar charges, as well as lithium battery power storage devices and AA/AAA battery chargers that can plug into their charging panels. Something like the Solar Gorilla might work for you. Here is the link. Try Addpower. They have units of 20-80w. The 80w was about $200. Any suggestions for a yeasu ft270r? I think that radio has a 4mm charging port so if you bought a USB to 4mm cable convertor any of the should provide enough power to charge the radio. Just double check your manual to make sure all the power requirements line up. Love these different suggestions for solar backups. Thanks for sharing. If you can deal with the lower power storage,smaller lead-acid storage batteries that are much more portable are readily available-Walmart,etc.They have the same 12 volts,less weight,often cheaper! Rivers have a lot of submerged debris moving with the current that can clog and drag a generator.You might have trouble making it waterproof and snag proof.You can see plans and strategies on YouTube or other sites. I decided to build a solar electric system large enough to keep a small chest freezer running, as well as powering the motors on a pellet stove. Pro’s are: plenty of power for comfort, cooking, security, food preservation, etc. Not as expensive as a large solar electric system. Con’s: Has no value if I need to bug-out. Thanks for the information. While I am considered a “Leftist” by people like you, I do appreciate the information given here. Just remember that sustainability issues is what is causing the next economic crash…not some liberal conspiracy. Constant economic growth is not possible. And what does anything you mention in your comment have to do with solar power back up for emergencies? Solar electricity is now for first time in history available to the masses and that will cause big economic shifts.Communist China is one of the biggest producers.No one in the world will be unaffected because of the huge scale.It’s wonderful that trickle-down has allowed survivalists to use this technology.Make use of what’s available to individuals while it’s there. Be cautious of many USB power adapters, many are cheap and unreliable. Although, it may take a little more space; consider using a solar panel charging AA or AAA batteries. Many HAM radio’s have AA or AAA option battery packs. And you can still use standard non-rechargeable batteries as well. The newer portable battery packs people use for cell phones recharging also fits in. Bulk charge from the solar panel in the Li-ion battery pack, from there power to direct USB powered devices or use a small AA or AAA battery charger. Minimal extra weight be very flexible and reliable. If the threat is EMP, all that electronics, including rechargeable batteries, solar panels, and solar charge controllers, all need to be inside and EMP proof container or Faraday enclosure. 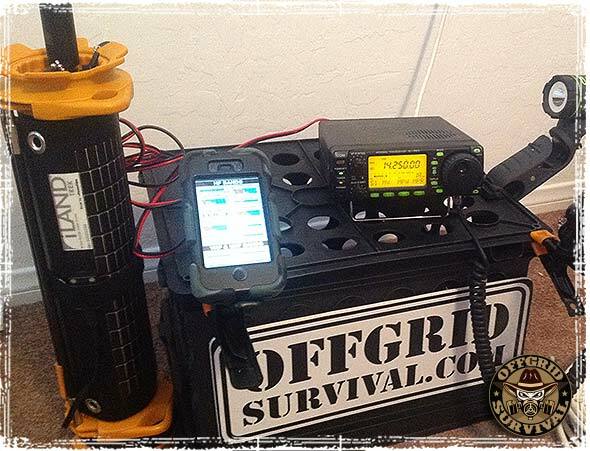 Throwing a radio in a bugout bag with some extra batteries will be useless after an EMP event. No one ever talks about this. If you store them in an old microwave. NOT plugged in. It should survive an EMP. Thank you for aaying what I was thinking! Surprising that more preppers aren’t mentioning that!